SANTA FE, NEW MEXCO – When three writers gather in Santa Fe for an event to share stories about one of America’s greatest artists, Georgia O’Keeffe — the only appropriate response is to attend. The writers were Pulitzer-winning writer and poet, N. Scott Momaday, writer, Margaret Wood, and poet Carol Merrill. The three assembled at the New Mexico History Museum to swap tales of their time with the famed artist. But before I jump into the evening and follow a tangent about her religious belief, let me pause to briefly discuss the guests. Scott Momaday is the only Native American writer that has won the Pulitzer Prize for literature. He was bestowed America’s highest literary honor in 1969 for his book House Made of Dawn. Born in 1934 in Lawton, Oklahoma to a writer mother, Natachee, and an artist father, Al, N. Scott is of Kiowa and Cherokee descent. Momaday received his Ph.D. from Stanford University and has received over twenty-one honorary degrees. He is the author of twelve books. Considered by many scholars to be the catalyst for modern Native American literature—the Native American Renaissance, Momaday has influenced countless writers, poets, and artists through his many works. I for one love House Made of Dawn, with its impressionist tales of a Jemez Pueblo man dealing with death and life . 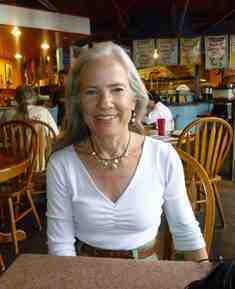 The second author is Margaret Wood. At twenty-four Wood left her home in Lincoln, Nebraska to work for O’Keeffe as caretaker. Since her time with O’Keeffe, Wood went on to become a speech-language pathologist and penned a couple of books about her time O’Keeffe: Remembering Miss O’Keeffe and A Painter’s Kitchen, a book about the food Georgia loved. The third author is Carol Merrill. Like Wood, Merrill worked for O’Keeffe, but as a librarian and secretary. Merrill also worked with poet Allen Ginsberg. Over their time together, Merrill reflected on O’Keeffe through poetry and prose. Merrill wrote two books about her time with O’Keeffe. Her prose work is Weekends with O’Keefe; and her poetry book is O’Keeffe: Days in a Life. Melanie, my wife, and I got to the museum auditorium early to listen to the three authors, knowing it would be a full house. With 45-minutes until opening, there was already one hundred or so people in line. After finding seats, I asked to borrow a pen from a lady nearby. As it turned out, the woman was a retired librarian from Pennsylvania, traveling with a friend to hear about O’Keeffe. 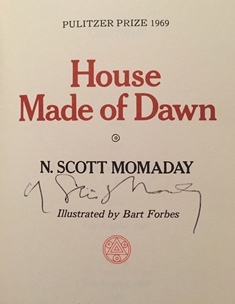 Seeing that Momaday was talking with people up front, I took the pen and asked him to sign my Franklin edition of House Made of Dawn. He kindly obliged. After an introduction by host, Palace Press director, Tom Leech, the three authors disused their life with O’Keeffe and read excerpts from their particular books. Merrill began. 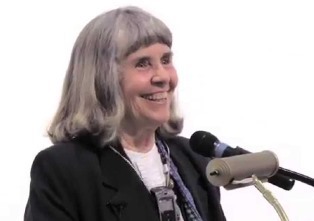 Her story started in 1973 when she wrote a letter to O’Keeffe. A one-hour meeting was set up between the two. The one-hour meeting led to a seven-year working relationship. 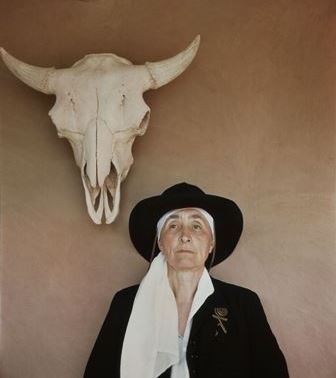 Merrill was tasked to work at O’Keeffe’s homes in Ghost Ranch and Abiquiu, cataloging O’Keeffe’s libraries and providing some secretarial duties. Merrill worked mostly on weekends between 1973-1979, taking detailed notes of the experience. Merrill read from her poetry and prose books; her deep love and reverence for O’Keeffe clearly articulated. Following Merrill was Margaret Wood. Like Merrill, Wood shared how she was connected with Georgia O’Keeffe—through a recommendation of a friend. She was with O’Keeffe between 1977-1982. Wood talked about having to learn to cook for O’Keeffe—who was very particular, and mentioned interesting tasks she was asked to do, such as write down dreams and daily experiences. One of the greatest memories Wood had of O’Keeffe was the way she spoke. 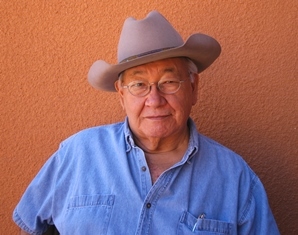 Scott Momaday discussed his first meeting with Georgia O’Keeffe. It was in 1972. Momaday was on leave from teaching at Berkley O’Keeffe invited Momaday to visit her at her home. Momaday told the story of how O’Keeffe asked him what he wanted to drink. Georgia retreated to get the drinks. And after a long time away (which began to make Momaday nervous), Georgia returned with the drink. Momaday wondered why it took her so long. Momaday learned Ms. O’Keeffe had to take off the door at the hinges because her housekeeper had locked the pantry. O’Keeffe was in her 80’s at the meeting. The two went on to meet several other times, with Momaday making several connections to her life and thought. Momaday recited a poem he wrote based on his interaction with O’Keeffe, Forms of Earth at Abiquiu . After their individual recitations, they shared recollections of O’Keeffe, taking questions from Tom Leech and the audience. Because of the depth and length of answers—ranging from the music she listened to and the food she ate, to the right to vote, to her favorite paintings, I cannot provide a full account. Instead, I encourage you to contact the New Mexico Museum of History. The New Mexico Museum of History recorded the event, and can be accessed for research purposes. And two radio stations, KSFR in Santa Fe and KCEI in Taos, recorded the conversation, to be aired at a later date. Later, I looked a little deeper into the matter of O’Keeffe’s beliefs. According to O’Keeffe biographer, Roxanna Robinson, Georgia envisioned God as female (Georgia O’Keeffe: A Life, page 23). This comment sounds as though Georgia may have found meaning outside her orthodox upbringing, which was Episcopalian. Yet other writers point out that Georgia periodically went to services at the Christ in the Desert Monastery (mostly Easter and Christmas), 20 miles northwest of her home at Ghost Ranch. On another occasion, Georgia told Merrill to have Merrill’s parents—who were visiting the monks, “Say hello to the fathers for her.” It’s safe to say Georgia had at least a friendly acquaintance with the monks at Christ in the Desert Monastery. Others point out that Georgia would attend the church down the road from her house in Abiquiu, named St. Thomas. And, on occasion, attend events at the famous church of Chimayo, located 30 miles southeast from Abiquiu (see Margaret Wood’s, Remembering Miss O’Keeffe, page 35). Even famed Trappist monk, Thomas Merton, paid Georgia a visit at her Ghost Ranch home. After a conversation with Merton, Poet, C.S Merrill notes, “She [Georgia] was impressed with his attitude toward the church” (page 169). Thomas Merton wrote about his travels to Christ in the Desert Monastery, discussing his time wandering O’Keeffe country in his book, Woods, Shore, Desert. All this association with Churches may mean little. Georgia may have attended the churches for religious duty only, or maybe curiosity, or may have actually attended to worship. Why not all three? O’Keeffe didn’t leave a statement of belief. Nor was she, to my knowledge, a member of any particular Church, other than the Episcopal church of her upbringing. “It’s hard to say” may be her motto for her worldview when asked, but her life’s-work, painting, seems to suggest something more: a quest for beauty, truth, and goodness. And when added up, the sum total of these “common” characteristics point to something transcendent and amazing in O’Keeffe’s work, something where the multifaceted meets the mundane, where heaven greets the earth. Or put another way, where humanity gathers with the divine. And in Christian vernacular this is precisely the message of Jesus Christ: the union of the human with the divine. Known as the hypostatic union, it is the combination of two natures in a single person. In relationship to the Trinity, Christ’s interaction within the Godhead is known as the perichoresis, the mutual exchange of love among three-fold Persons: Father, Son, and Holy Spirit. Maybe, just maybe, Georgia’s art are signposts in Christian metaphysics, helping us understand God’s extraordinary love as expressed in the world through the transcendentals — those characteristics that apply to both God (the divine) and humanity (the daily). Who knows?